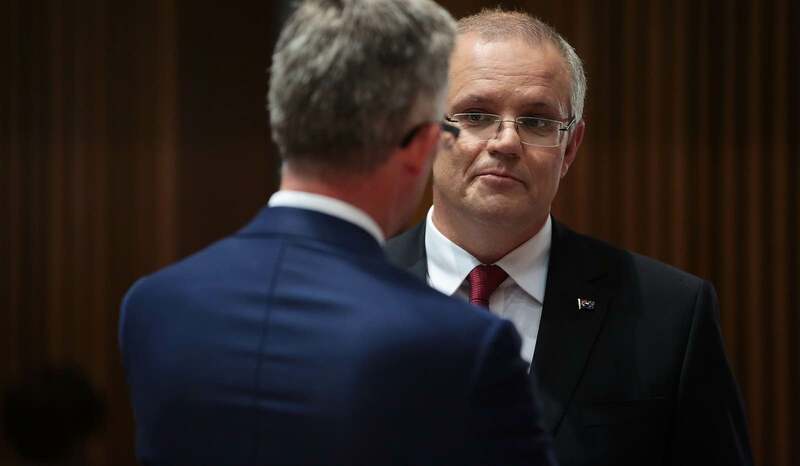 Healing bitter internal party divisions after a week of political bomb-throwing will be an onerous enough task for Scott Morrison … That’s before running the country, let alone positioning Australia in the world, or dealing with Donald Trump. A quick analysis of prime ministerial terms shows that a PNG prime minister over the past two decades has spent – on average – more than 40% more time in the top job than their Australian counterpart. The overarching story is that the major centre-right and centre-left parties in Western democracies each represent an eroding social base. None of them represent a coherent set of social interests any more. His views on international affairs – publicly at least – amount to sharp outlines, with only a few shades offered to fill in the contours. As he admitted himself, after falling just short of toppling Turnbull in a party room ballot on Tuesday, Dutton is better known as a politician who never smiles. This month’s meeting of [Pacific Island Forum] foreign ministers was perhaps most interesting for who was there, and (possibly more so) who was not. There have been some notable changes to the line-up since last year, which no doubt had an impact on proceedings. Debate about the mine’s possible revival has persisted for the last eight years. It’s the focus of the Bougainville autonomous government’s ambitions of fiscal self–reliance as an independence referendum approaches in June 2019; an enormous challenge for a region still occupied with post–conflict reconstruction and heavily dependent on aid. In Jakarta, the glitzy opening ceremony of the Asian Games 2018 left Aisyah Llewellyn feeling this play had stepped out of bounds. Why can’t we just enjoy the sparkle and the ensuing athletic prowess – if only for a while? The problem, however, is that sports diplomacy should not allow governments to hide their problems while ignoring reality. Indonesia is currently gripped by rising religious intolerance, financial troubles, a spike in hate crimes, endemic corruption and widespread poverty. While the issue in question regards some of the world’s most sophisticated communications technology, at its core, it deals with human interaction at its most primitive. When it comes to Huawei and Australia, it all comes down to trust – or lack thereof. How the views of the world’s most senior statesman might translate into regional visions amidst the escalating US–China trade confrontation and global uncertainty. Now that the ideological heavy-lifting is over – to paraphrase Margret Thatcher, there is no alternative to capitalism – some are questioning whether the American, notionally neoliberal variety of economic development is actually the best on offer. Annan was the most gracious person I have ever met in public life, dedicated to human wellbeing and seeking peaceful conflict resolution.